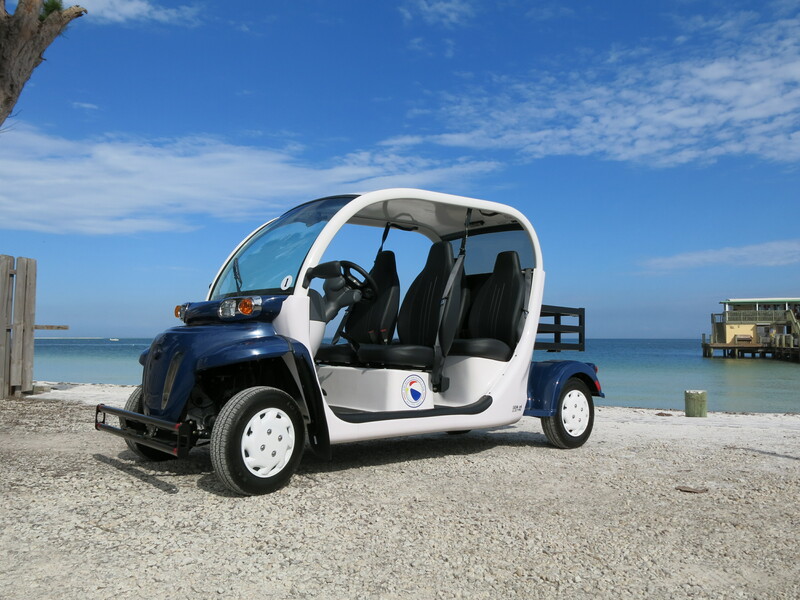 You can rent one of our top of the line Polaris GEM® electric golf carts to see Anna Maria Island. They are so much more than just a golf cart! GEM® cars – street legal, golf cart style electric vehicles – are engineered for extreme comfort and safety. All passengers are seated facing forward in bucket seats with seat belts. The open air, golf cart design will enhance your view and enjoyment of our beautiful Anna Maria Island area. A GEM® vehicle’s suspension provides a much smoother ride than a typical golf cart with speeds up to 25 MPH. The back provides a large open cargo box with fold-down tailgate for your ease of carrying beach items, groceries, etc. Beach Buggys GEM® cars are enhanced, powerful street legal golf carts with headlights, 13 inch street tires, automotive-grade windshields and windshield wipers for safety in the varying weather conditions you may encounter while visiting Anna Maria Island’s three cities: Anna Maria, Holmes Beach and Bradenton Beach. 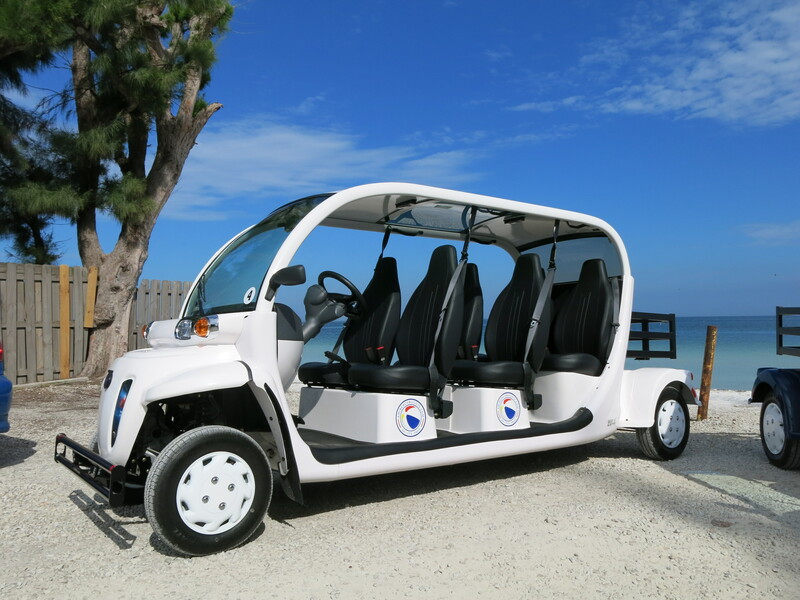 AMI Beach Buggys has both 4 and 6 seat Polaris GEM® electric powered golf cart rentals available.